KBC's wireless Ethernet series is available as 2 ranges the standard throughput, WES3 series which offers up to 99Mbps and the HT series which currently offers 230Mbps or 400Mbps+ aggregate. The standard and HT product ranges are 100% compatible and do not require additional licences for throughput or encryption. KBC's standard and HT wireless are supplied in point-to-point, point-to-multipoint and redundant ring mesh formats, and operate in the licence-free 5GHz and 2.4GHz bands. The HT units include a Gigabit port making them ideal for Megapixel camera applications and backhaul. 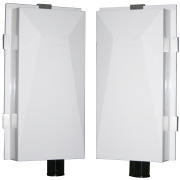 With both passive PoE and 802.3af/at PoE variants, both wireless series feature PoE and non-PoE units, encryption and set-up features such as antenna alignment and graphical mapping to make installation straightforward. 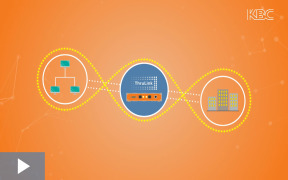 KBC's new ‪‎ThruLink‬ video explains how to send secure video, voice & data over public networks including 4G/LTE. 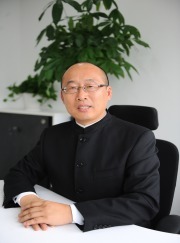 KBC Networks has announced the appointment of Frank Jiang to the position of President, KBC Networks, China. Frank will be responsible for managing KBC’s business in China from sales to technical support and marketing. With promises to increase product flexibility and throughput, at the same time as reducing cost, KBC Networks has launched the WES3 wireless Ethernet series. ThruLink allows secure, real-time, video, voice and data to be transmitted over public networks such as the internet or 3G/4G/LTE. It uses a number of encryption techniques to enable users to take full advantage of public infrastructure, whilst protecting their data. ThruLink is ideal for surveillance systems, ITS, security systems, patrol vehicles, ATM connectivity, remote data applications - any type of system that needs secure transmission for video, voice or data from a fixed or mobile location. It's designed for fast setup and since it's self-managing, maintenance is minimal. Recent years have seen the growth of several types of Virtual Private Network (VPN) service. The common characteristic of these services is to virtualize the service entity using the same physical infrastructure as much as possible. Since ADSL, cable internet and wireless access technologies have become widely available and more cost-effective, IPsec and SSL (Secure Socket Layer) VPN-based technologies have evolved to become the solutions of choice for making use of the public internet. Each technology employs standards-based encryption and authentication techniques that secure access to data over the Internet. The KBC secure hardware VPN device, ThruLink, employs SSL, thus this paper examines the comparative advantages of an IPsec-based VPN and the ThruLink, SSL-based VPN.